We are happy to present you a new issue of NLA Newsletter. Timur Saliev, Head of Laboratory of Translational Medicine and Life Sciences Technologies, and Ainur Kakpenova, Yeldar Baiken, researchers, NLA became the winner of «Leader of Science-2017" independent award for high rates of publication activity and citation of information resources according to Web of Science Core collection data 2014-2016 (Thomson Reuters). The award ceremony held on 8 November, 2017, which was organized under the auspices of "National Scientific and Technical Information Center" JSC jointly with “Clarivate Analitycs” company. It should be reminded that in 2015 and 2016 the well-known scientists of NLA Dr. Zhumabay Bakenov, Dr. Almagul Mentbayeva and others also have won «Leader of Science» award according to Thomson Reuters for their remarkable works. 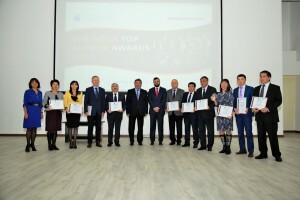 Almaty hosted the awarding ceremony of the Top Springer Author independent award in the field of science and technology, founded by Springer Nature, largest international publishing company. This year, Nazarbayev University won "The Most Published Organization" nomination, and scientists from NU Zhumabay Bakenov and Aliya Kuzhabekova were awarded in the Top Springer Author “Technology” category. In all, 7 nominations were presented at the ceremony. After the end of the awarding ceremony, Bart Verberck, editor-in-chief of Nature Physics and Irina Alexandrova, representative of Springer Nature in Kazakhstan conducted the international master-class for Kazakstani authors and editors of journals how to increase the number of articles in English in rating journals. 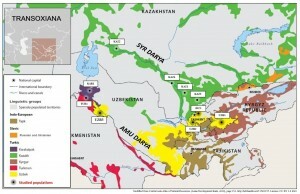 Springer Nature Company and scientists of Kazakhstan are long-standing strategic partners. Today, Springer Nature is No. 1 publishing company based on the number of published articles and books from Kazakhstan. For instance, in the period from 1958 to date, scientists of Kazakhstan published about 7000 different papers and articles in Springer magazines. Today, National Laboratory Astana at Nazarbayev University hosts the III International Scientific Conference "Personalized Medicine and Global Health." Well-known researchers of leading universities and centers of near and far abroad, representatives of the state and commercial organizations of education and public health of Kazakhstan attend this year’s conference. Among guests and speakers of the conference are Richard Barker, professor and founder of the Center for the Advancement of Sustainable Medical Innovations (CASMI) of the University of Oxford, Avi Roy, president of the British Foundation for Biogerontology Research (BGRF), Valery Benberin, Head of the Medical Center of the Presidential Administration of Kazakhstan, Ilya Stambler, representative of the International Association for Aging (IAD,Israel), Almaz Sharman, President of the Academy of Preventive Medicine, Adesida Ilesanni, provost, Nazarbayev University and others. 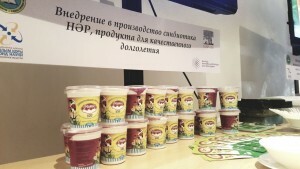 The purpose of the conference is to develop the international cooperation in the joint innovative researches and breakthrough scientific developments in the field of advanced multi-mode biomedicine technologies and to discuss the prospects for creating innovative products based on them to preserve and improve the health of the population of Kazakhstan. Participants will also discuss the possibilities and problems of genomics in general, bioinformatics and the application of new technologies in practice. According to Zhaxybay Zhumadilov, Director General, National Laboratory Astana, personalized medicine in common will improve medical care, increase its safety and profitability. “Personalized medicine is based on the peculiarities of the genetic profile of a particular patient and allows predicting the occurrence of diseases, conducting timely prevention and assuming the active solidary participation of the patient. When a team of specialists, including doctors, bioinformatics, IT specialists, biologists, geneticists, use information about the human genome, molecular markers of specific diseases when targeting therapy, the effect of treatment increases dramatic. 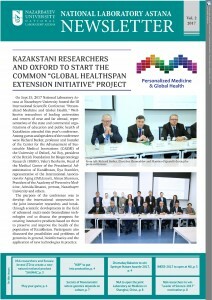 We very much hope that the implementation of such approaches in the long term will contribute to significant cost savings, but at the first stage of the introduction of personalized medicine, the health care costs will significantly increase due to the introduction of new high cellular and gene technologies, which is the main barrier for its full implementation,” noted Zhaxybay Zhumadilov. Within the framework of the conference Richard Barker, Avi Roy, Ilya Stambler and NLA scientists will hold an official press briefing, where they tell about joint participation in the Global Healthspan Extension Initiative project, aims to strengthen the foundations for quality longevity. This project is aimed to implement of innovative technologies to expand the boundaries of healthy productive longevity of the population. To date, the Global Healthspan Extension Initiative has already attracted interest from a number of biotechnology companies from the U.S, UK, Norway, Sweden, France and Germany, which are considering prospects for cooperation in the field of research on quality longevity. Today Nazarbayev University with the assistance of National Laboratory Astana hosts the IV International Asian Congress on Radiation Research within the framework of EXPO-2017. For several days the leading scientists and radiobiologists of Kazakhstan, neighboring countries and far abroad will discuss the most important achievements and trends in the peaceful use of the atom, radiation safety for personnel of radiation hazardous enterprises, as well as new and modern methods for reducing radiation risk during work with ionizing radiation sources and controlling wellness of workers of uranium, oil, gas and mining industry of Kazakhstan. The previous congresses were held in Japan, South Korea and China. This year representatives of the International Atomic Energy Agency (IAEA), as well as the delegations of Iran, China, South Korea, Japan, Germany, France, Russia, India, and Singapore come together to discuss the agenda of this Congress. The plenary lectures and sections of the Congress will present the results of fundamental researches of leading scientists in the field of radiobiology, radioecology and radiation safety. The sectional reports will cover the problems of assessing the radiation impact on environmental objects, the effect of "small" doses of ionizing radiation on the body and medical provision of radiation safety of the population. Also, mechanisms of influence of "small" doses of ionizing radiation, questions of molecular-genetic changes and their role in the development of long-term effects of irradiation will be considered. The scientists will devote considerable attention to the discussion of the results of epidemiological studies, the reconstruction of individual doses of internal and external radiation, and the organization of electronic databases for the assessment of radiation risks. Today Nazarbayev University with the assistance of the Institute of Accumulators and National Laboratory Astana hosts the 5th International Conference on Nanomaterials and Advanced Energy Storage Systems (INESS-2017). The INESS conference started in Nazarbayev University, Kazakhstan in 2013. This year the scientists and students from Japan, Korea, France, China, Russia, Canada, UAE, UK, Turkey and Kazakhstan will review and discuss the recent progress and problems in materials science, nanotechnologies, ecology, renewable energy, energy storage systems and modeling methods in these fields. INESS is included into the list of Global Events by Elsevier Inc.: http://www.globaleventslist.elsevier.com/events/2017/08/5th-international-conference-on-nanomaterials-and-advanced-energy-storage-systems-iness-2017. The Conference will also include a session with workshops by the Thompson Reuters and other specialists. According to the head of the Center for Energy and Advanced Material Science, National Laboratory Astana, Prof. Zhumbay Bakenov, for several days conference participants will discuss the latest developments in the field of energy storage materials such as advanced rechargeable batteries, fuel cells, nanomaterials for energy, and others. -Energy conversion and storage devices such as advanced rechargeable batteries and fuel cells are play critical role in all parts of our society, in communication and infrastructure, industry and transport, - said Mr. Bakenov. - In many areas, the technological development is directly depending on the availability of such energy devices. Therefore, the market of advanced batteries and other energy conversion and storage devices is very competitive and rapidly growing. 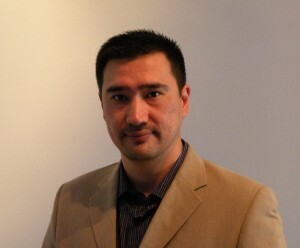 For example, researchers’ group and Institute of accumulators under the leadership of Zhumabay Bakenov design novel nanostructured materials to succeed in development of rechargeable batteries with high energy and power density, safety, low ecological impact, long cycle life and low cost. Leading researchers from Tokyo Metropolitan University (Japan), Lawrence Berkeley National Laboratory (USA), Warwick University (Great Britain), Chungnam National University (South Korea), Skolkovo Institute of Science and Technology (Russia), Hebei University of Technology (China) and other leaders in the development of new materials, including storage of green energy, its production and transportation, will present its projects and solutions during INESS-2017 also.